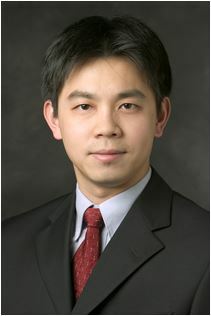 Dr. Yang Huang is CIO/CTO of Med Data Quest Inc. (MDQ) in La Jolla, California, where he is leading a very talented team to develop solutions to help providers identify gap of care, increase revenue and save cost, leveraging Artificial Intelligent (AI) technologies such as Optical Character Recognition (OCR) and deep learning. From 2015 to 2017, he co-founded Witspring Health (WH) Inc. in Hangzhou China and served as the Chairman of the board and Chief Science Officer to develop a computer doctor, who helps triage and advise patients based upon their symptoms, lab test results and medical history. He also co-founded Shu Rui Tech Inc. to develop various AI solutions for hospitals and insurance companies. Before his venture in China, he was Director of Research & Development Medical Informatics at Kaiser Permanente Southern California (KPSC). Partnering with Dr. Dan Zisook, a physician Informaticist who also graduated from Stanford Biomedical Informatics program, they founded and grew the Medical Informatics group of KPSC. During his eight years at Kaiser, he served as the technical lead and principle investigator of multiple projects developing and implementing decision support tools leveraging the clinical Natural Language Processing (NLP) and data mining platform developed by his team. He received a Ph.D. in Biomedical Informatics in 2006 and M.S. in Computer Science in 2002 both from Stanford University. His research interests include natural language processing, machine learning, data mining and clinical decision support.